You are here: Home › Deep Thoughts › Zombies, Run! Gamification is when gaming mechanics are used in non-game situations. This is the short version. Some people have different semantics, but this is a good way to frame it. At the ISTE Conference in San Antonio, held during the summer of 2014, I had the opportunity to hear Jane McGonigal speak about games. She is the reason that I am pursuing a Ph.D. in educational technology. It was amazing and similar in nature to one of the TED Talks that she has given, see the video at the bottom of the post. In the course of doing more looking into gamification, to try and determine how I could use it, I stumbled across Yu-kai Chou and his Ted Talk on gamification. I was blown away! I have been all through his website and his thinking is great. His talk is under Jane’s, both are worth your time. Jane and Yu-kai have written books that are fascinating, full of ways to gamify your daily life. Why gamify? To change a behavior. Make your life better. Jane’s book Reality is Broken is phenomenal. Yu-kai’s book Actionable Gamification just arrived a few short days ago. I cannot wait to dig in. 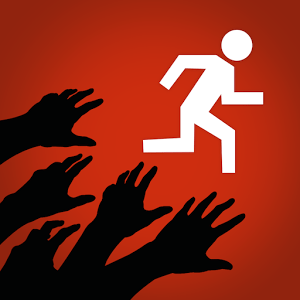 Take the app Zombies, Run! from Six to Start. Every time I exercise, I get to be Runner 5, from Abel Township in a post-apocalyptic zombie-infested world. I listen to a story thru my headphones while I run. It’s fascinating! The story is revealed in little bits and pieces, interspersed with my music. I started using this app at the beginning of the summer, struggling to complete a simple two mile run (mostly walk). Through consistent work, thanks to Zombies, Run! I have been able to run further than ever before – completing 13.2 miles on my birthday in September. Never in my life had I done that before. Looking back over my running stats, my mile times have dropped from over 10 minutes per mile to today’s pace over 4.78 miles of 8:18 per mile. I’m not trying to say that I am a super runner, just saying that Zombies, Run! has made it more enjoyable for me to run. I don’t dread running – I look forward to it. On the health side, it has also helped me lose weight. It changed my behaviors. Now think about your classroom. One of the things that we want for all of our students is for them to be excited about being there. To be eager to improve their education. We want them to succeed in every aspect. Can you make your class to be more like Zombies, Run!? Can you create a culture where students are more accepting of learning? I have some little humans that call me Dad. They all loved elementary school, couldn’t wait to see their teachers every day. Why is it that young elementary students love school and older students sometimes grumble? Look at what happens in early elementary: students go to centers, they build, they create, teachers play games – ALL THE TIME! Students learn through all of this exploration and playing of games. As students get older, the teacher becomes the person who puts up the powerpoint and lectures all hour. How is this anywhere near as exciting? Create ways for your class to be engaging – you don’t have to be a super gamification genius person, just be willing to step out of your comfort zone. Try something different! Get your students excited about coming to your class, no matter what age or class you teach. Try something from Teach Like a Pirate – put a couple of wrapped packages in the front of the room and don’t pay any attention to them. Let the imagination of the students run wild. Then unwrap them a few days later to reveal a teaser of an upcoming lesson. 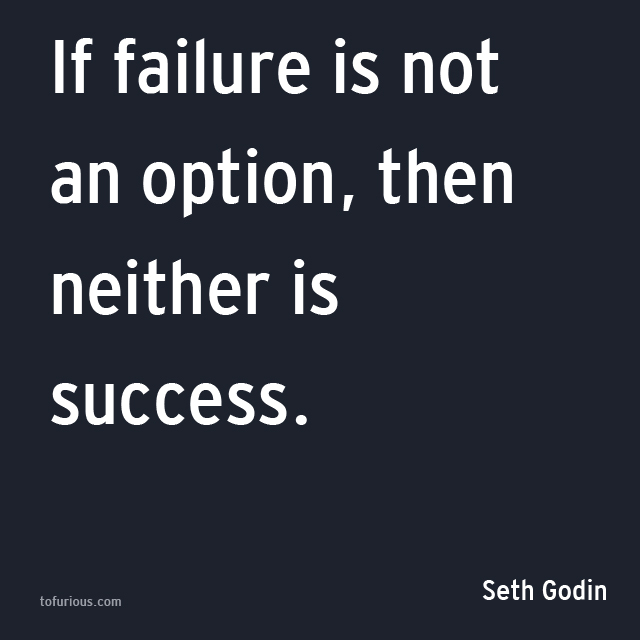 Most importantly – let students experience failure. When I play a video game, I will sometimes enter into a situation to fail, simply to see where the bad guys are. What if you were to give your students that same benefit? They could fail, yet learn what it is they are struggling to learn. Then, a full redo with no penalty. Change the behavior of the students – let them see failure as the First Attempt In Learning. Let them take risks and failure gloriously. Then let them take what they have learned through their failure and achieve an epic win. Teach your students how you want them to learn – let them see you take those risks. Let them see you fail on occasion. Let them see how you handle that failure and improve your lesson. 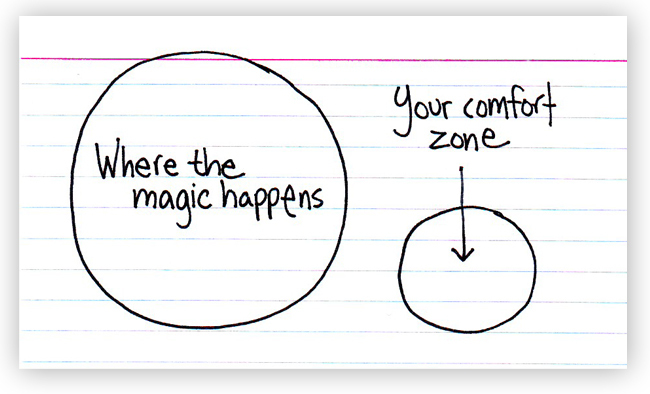 What can you do, today, that will move you from your comfort zone? That will bring excitement back to your classroom? That encourages your students to alter their learning behaviors?